Eric Bouler and Patti Gracianette each have over 20 years of experience in helping buyers find homes and condos tht meet their desires. As a team we can work faster and better in finding homes that meet your needs. 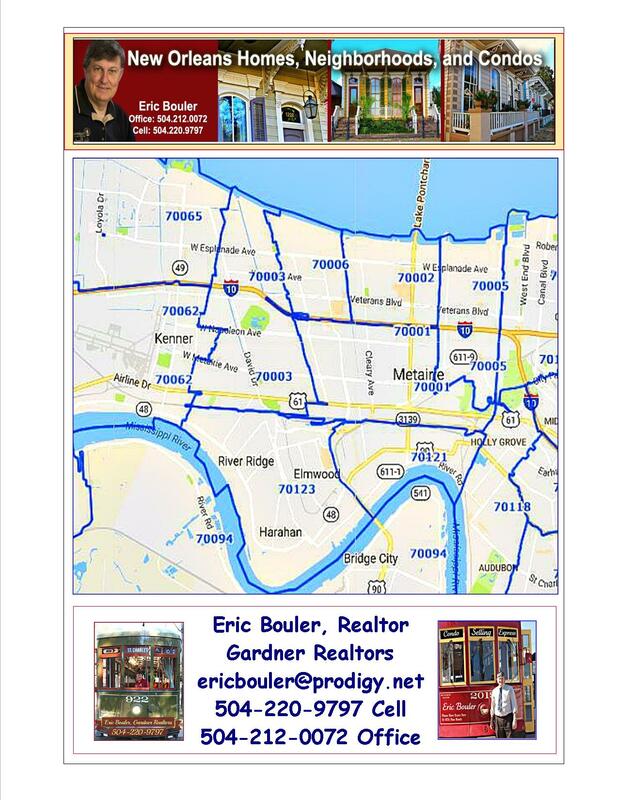 We know all areas of Jefferson Parish. Half our business is with buyers and half is with sellers. This gives us plenty of experience. Know all the streets and neighborhoods is very meaningful. 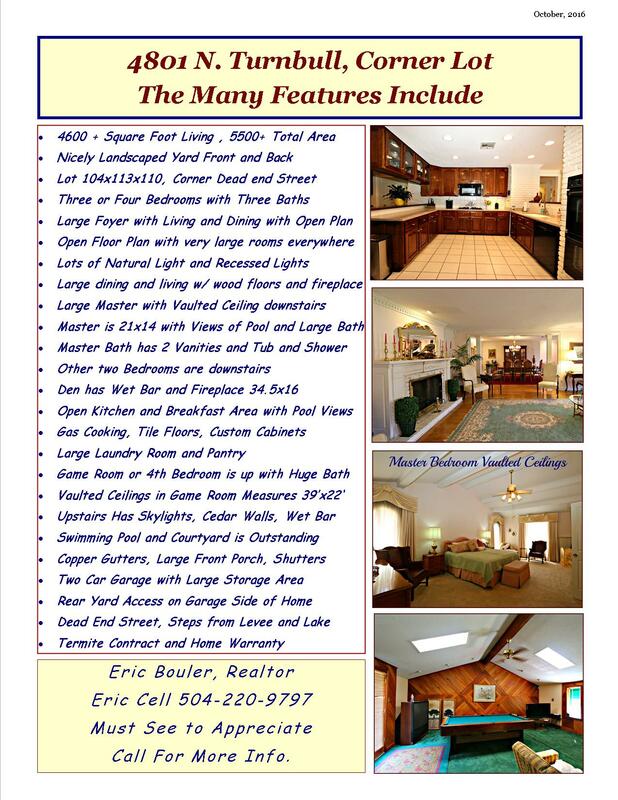 We have found hundreds of homes and condos for our clients over the years. Knowing how to value a home is a very great facor in selling a home or condo. Always best to Clean and Shine the home before putting it on the market. Spending hundreds will make you thousands more when sold. We have some great helpers to help us move to quicker sales. The value is all about location,location and then recent updates. The price is based on more than just the square footage. Comparing it to like homes in recent sales is the best way to hit the right price. You also want to make sure your price will put you in the top 3 listings in your area and criteria. We keep up with the competition when we list your home or condo. Many times we meet other agents and their clients at the home to let the know all the details that are positive. We then make sure all is taken care of when we leave. Open Houses do work and get exposure. Flyers in front yard help. Professional photos help. 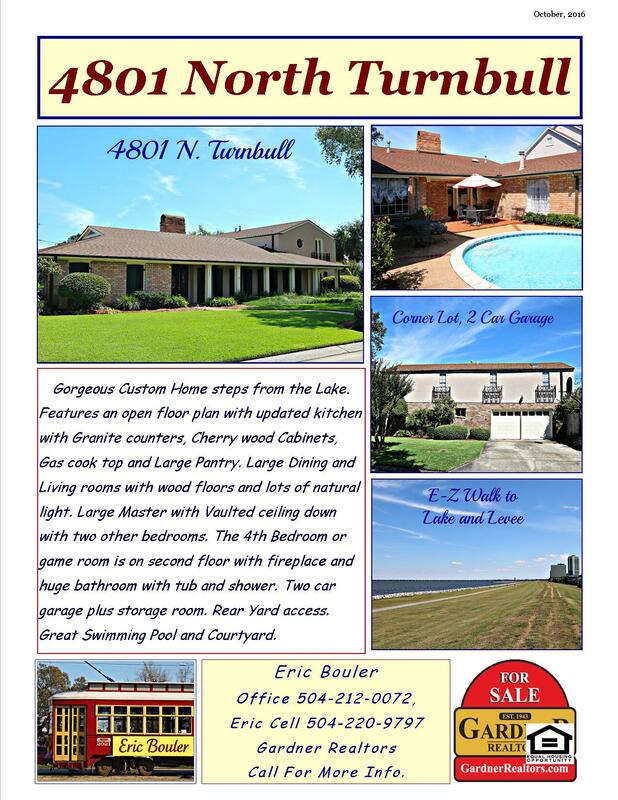 Running the homes on the Gardner TV Ad on WWL TV also helps with exposure. Making a list of recent updates gives buyers more knowledge about updates.